Harsh and, so far, accurate. Unsurprisingly, when both Aviles and Romine are in the starting lineup, Detroit almost always loses. Leverage, in a baseball game, is a concept that describes the importance– in terms of outcome determination– of a given moment in a given game. Through the lens of leverage, I have been both critical and complimentary of the way Ausmus has deployed his relief pitchers this season. Leverage also can inform an analysis of pinch-hitter usage. When Ausmus called on Aviles to pinch hit in last night’s game, he did so in the highest leverage moment of the game: down one with two men on and two outs in the bottom of the seventh inning. Aviles popped up to the first baseman, ending the inning and extinguishing the Tigers’ chances of a comeback. Again, injuries left Ausmus without many alternatives, and if, recognizing the significance of the moment, he was just doing something to do something by sending Aviles in to pinch hit, so be it. A plate appearance from the veteran Aviles probably was unlikely to end up much different than a third one from the man he replaced, rookie Dixon Machado. The notion of actively directing a poor hitter to bat in a moment of high importance is thought-provoking in days like these, though. 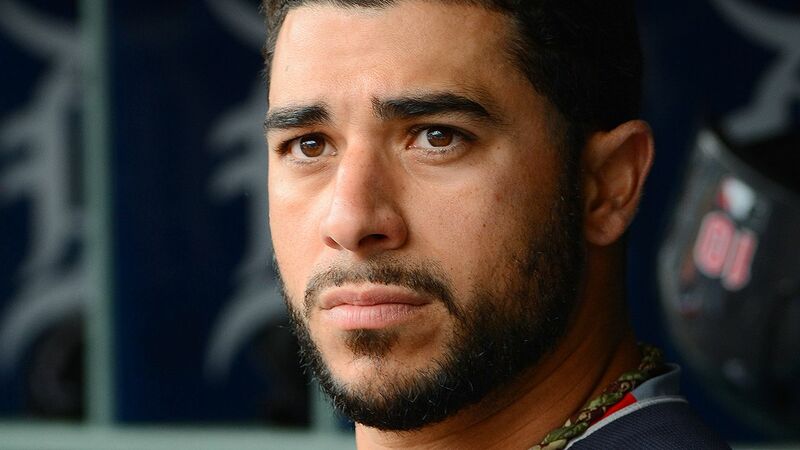 As with Pelfrey, the Tigers need to drop Aviles as soon as possible, but their current circumstances do not allow them to do so. Unless the team’s en-masse health problems evaporate as quickly as they arrived, Detroit will make the playoffs or not on the performance of a mostly replacement-level lineup. The situation is unfortunate, but it’s a direct consequence of the way in which the organization has been constructed for the past few years: when everything’s going right, they can be unstoppable, but the team’s age and lack of depth mean that they have essentially no margin for error. Jarrod Saltalamacchia is starting at first base tonight. This entry was posted in ALDLAND and tagged anibal sanchez, baseball prospectus, ben lindbergh, brad ausmus, detroit, fangraphs, mike aviles, mike pelfrey, mlb, the baseball gauge, the ringer by AD. Bookmark the permalink. BYB has more on the Aviles trade: http://www.blessyouboys.com/2016/8/16/12509392/detroit-tigers-atlanta-braves-trade-erick-aybar-mike-aviles. Here’s BP on the trade: http://www.baseballprospectus.com/article.php?articleid=30139. Their comments highlight rumblings heard elsewhere overnight that this move was less about either dumping Aviles or acquiring Aybar and more a signal that Iglesias’ injury is worse than we think. Of course, nobody has any official public update on the status of Iglesias’ return, but that is one way to interpret this move.